Submit the online SARC membership application form on the right....OR...Print and fill out the SARC Membership Application below. Drop your application in the mail OR scan and email it to texasangorarabbitclub@gmail.com. Pick the level of membership that works best for you. Pay your SARC dues easily with PayPal. Any questions? Contact us at texasangorarabbitclub@gmail.com. Thanks!...and welcome to the club! Payment of club membership dues signifies acceptance of the SARC Constitution & Bylaws as available below. 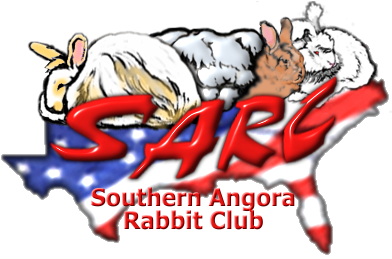 Thank you for joining SARC! Submission of Membership Form signifies acceptance of SARC C&BLs.